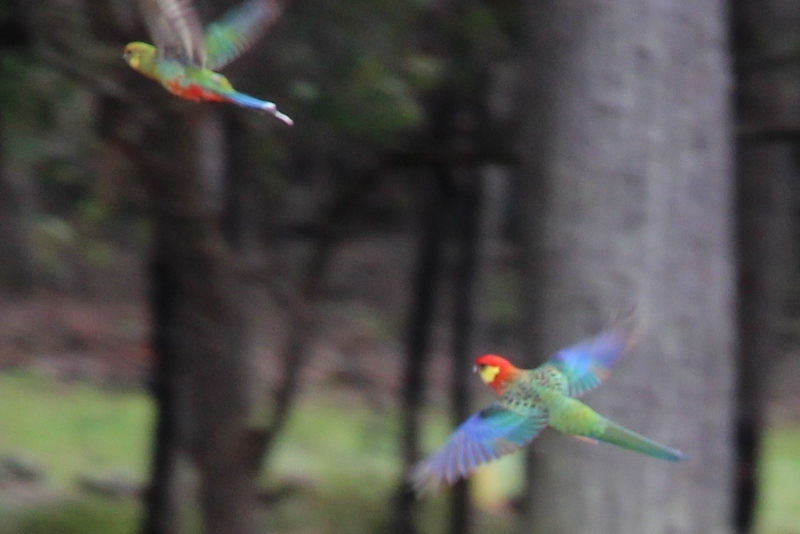 I arrived back home to capture my first image of a couple of Western Rosella parrots. I have only seen them occasionally over the last couple of years, and never close enough to catch on camera. They were picking through their favourite capeweed right in front of the house. I almost missed the female as she is much more muted in colour and with greener feathers on her back, she blends right in. The blue in their wings is stunning when they are in flight and I love the pictures even though they are not in focus. They are like a mobile rainbow. According to DEC: Until 1998, the western rosella was a declared pest of agriculture under the provisions of the Agriculture and Related Resources Protection Act 1976. It has now been removed from the list of declared species because the damage it causes is low and this parrot has declined or become locally extinct. It has declined or become extinct from more than 25 per cent of the shires where it was once found. It appears to be locally extinct in the shires of Coorow, Dandaragan, Moora, Dalwallinu, Merredin, Quairading, Serpentine-Jarrahdale and Murray and has declined in the Swan, Kalamunda, Northam, York, Armadale-Kelmscott, Capel and Dumbleyung shires. 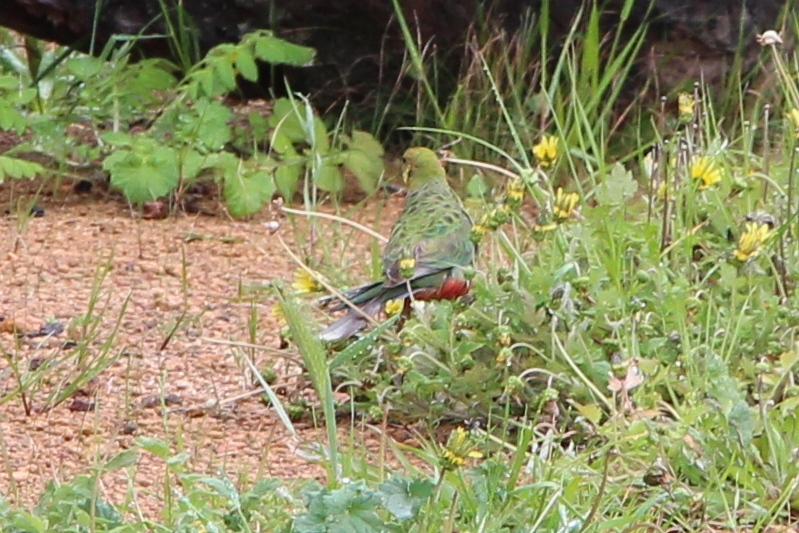 This parrot has disappeared from the northern and eastern parts of the Wheatbelt because of the removal of its feeding and breeding habitat. 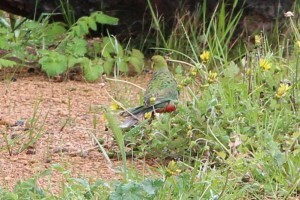 There are no shires in Western Australia where the western rosella is thought to be increasing in number but it remains relatively common in the lower south. 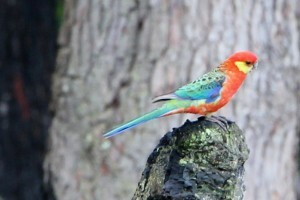 The western rosella is a protected native species under the provisions of the Wildlife Conservation Act 1950, administered by the Department of Environment and Conservation (DEC). The inland subspecies (P. i. xanthogenys) is a rare threatened species that is likely to become extinct. It may not be destroyed under any circumstances.